I hope you are all doing fine. I am so glad to be able to make it to this week since next week I will have a week off the lectures. This semester have been very busy so if you are still hanging around, I am very grateful about it *big hugs*. On top of all that came extra stress about a (good!) citizen being too sensitive about someone driving over red by mistake on a perfectly empty night traffic. It is Tom Ford Soleil Blanc Eau de Parfum. The latest addition to the Private Blend Collection brings the touch of sun rays, a breeze from the jasmine bush and the coconut whiff of sun creams in such a delicious ambery interpretation. Usually I don't gravitate towards Bronze Goddess type of scents but Soleil Blanc is so well-balanced on my skin that it became an addiction recently. The lack of vanilla, vetiver and citrusy notes compared to Bronze Goddess are definitely doing it for me. The tuberose is not very pronounced on my skin and stays in the background as a gourmand mix of coconut and pistachios linger all day long. I spray it in the morning and when I arrived home almost 12 hours later, I could still smell it although during the last 5-6 hours it stays close to the skin. Tom Ford Soleil Blanc Eau de Parfum is especially for those who would like a warm feminine coconut beach and sun fragrance but never really found the one. Soleil Blanc is the best in this genre I have tried so far with an impressive longevity. Thumbs up, if you haven't tried it yet, I recommend you to do so. There are two compacts in this collection. I was a little upset to see that this year there was no eyes & face compact like last year and the year before. Tom Ford has two different sizes of compact. 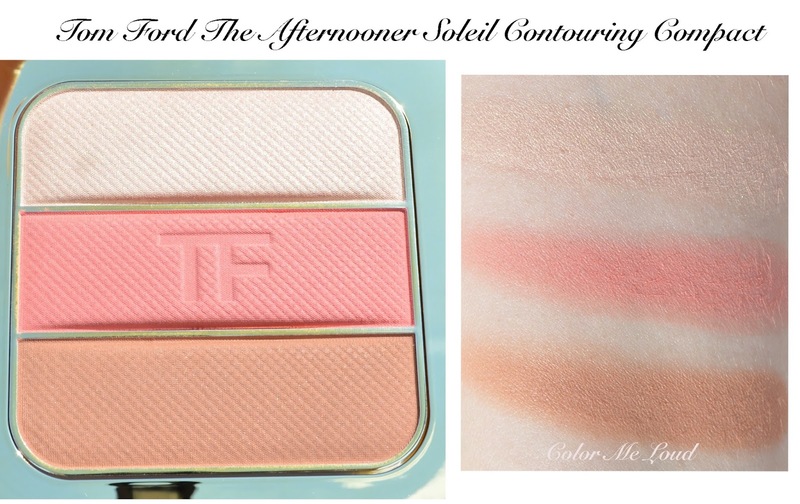 Tom Ford The Afternooner Soleil Contouring Compact comes in the larger size which is split into three. I found it a little hard to pick the right product even if I usually use my Suqqu Cheek Brush which is a small size cheek brush compared to many others. Tom Ford Cheek Brush is definitely too large for the pan. The Afternooner is a powder product which read less shimmery, more satin to matte in finish. I have read that many said the bronzer is too orange. I don't share this opinion. The bronzer is definitely not cool but not too warm either. On my NC20 skin with neutral undertones it looks very neutral. 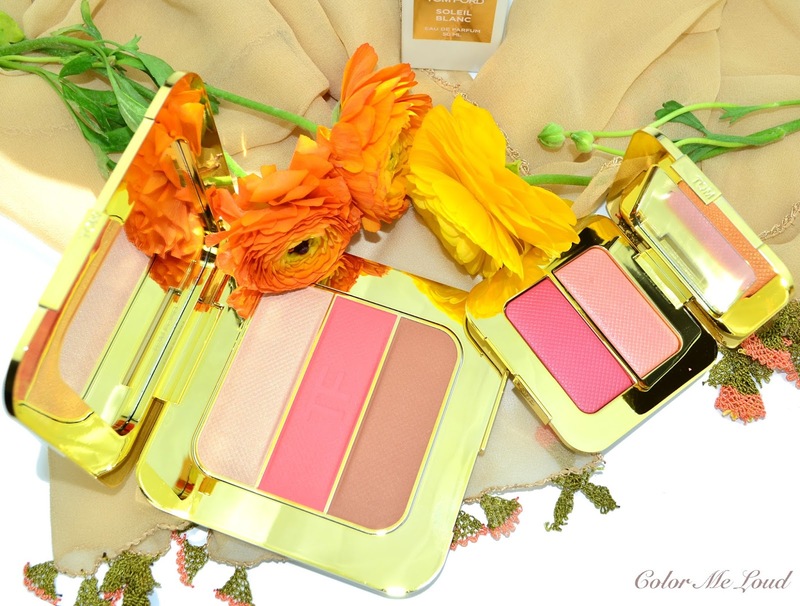 Blush is a beautiful coral pink and highlighter is a nice champagne shade which has very little shimmer. All in all I like the concept, other than the pan size compared to the brush size and each shade has buttery, not powdery consistency with good deal of pigments but on me, these faded very quickly. Longevity was my issue wit Afternooner. I found out though it was very different depending on which foundation I wear under it. I still prefer the small compacted Sheer Cheek Duo in Bicoastal to this product. 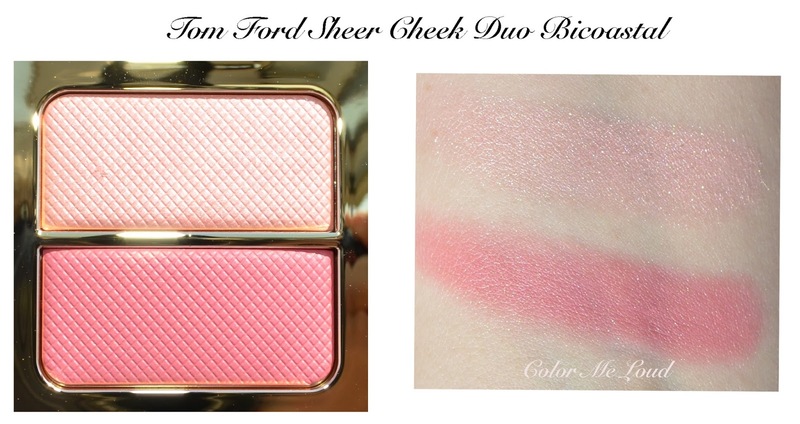 Tom Ford Sheer Cheek Duo in Bicoastal is one of the highlights of this year's collection for me. This one has the same gel formula with much coveted Moodlight (reviewed here). I especially like this formula for the highlighter but for the blush, it requires good blending since it turns out to be nothing but sheer. Yet the superiority of this product is its staying powder. Afternooner fades after 4-5 hours but Bicoastal stays on me all day long. Not to mention that I love the cooler tones of this compact. Thumbs up here as well. There are two types of lip products in Soleil Collection for Summer 2016. There is a lip balm type of product with a moisture core and colour on the outside ring. I haven't tried these out myself in person but you can find nice swatches here on Linda's blog along with other products from the summer collection. I was a little confused to find out that the other line of lipsticks are called Ultra Rich Lip Colors. These come in the same packaging as Lip Color Sheers and when I checked the ingredients I found out that they are very similar. One difference though is that they are definitely much more pigmented. 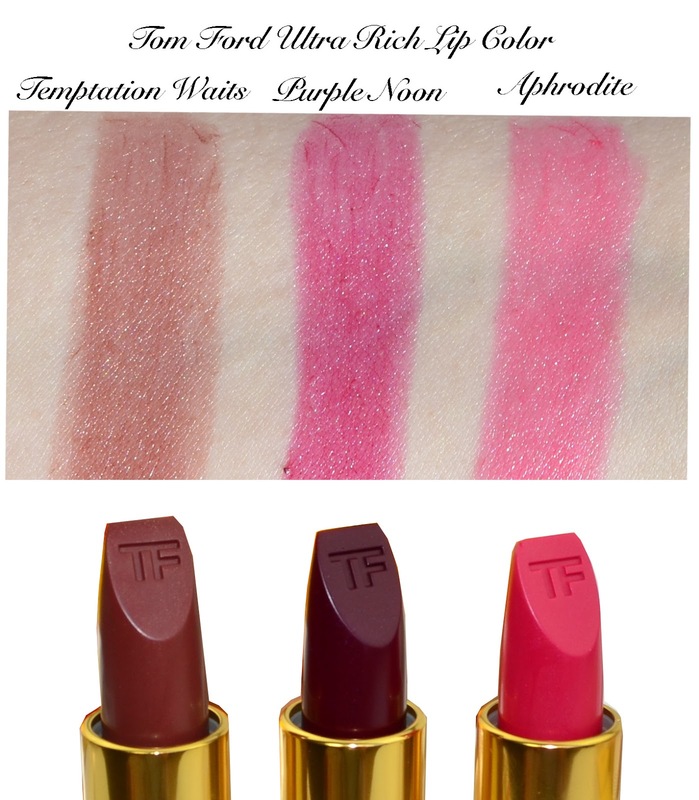 Yet I wouldn't call them ultra-rich since I believe the regular lipsticks of Tom Ford such as Lips & Boys or regular size brown golden packaged ones are usually more pigmented than these. I believe these are as pigmented as it gets for a moisturising lipstick. I had to have the shade Purple Noon just for the name so I ordered it sight unseen but I was a little let down to see that it is more of a pink berry than purple. Aphrodite is a nice neutral pink and the real surprise was Temptation Waits which swatches so brown but I love how plummy it looks on my lips. Temptation Waits is definitely my pick for uniqueness among these three. Here are a few face shots to show you how these apply. Below I am wearing The Afternooner on the cheeks as contour/bronzer, blush and highlighter. On my lips I have Temptation Waits. 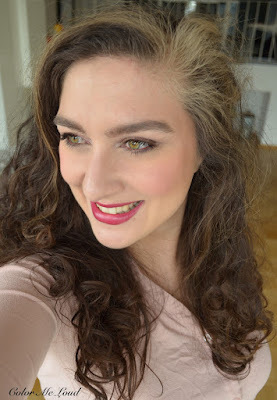 On my eyes I am wearing Tom Ford Cream/Powder Duo in Golden Peach (reviewed here) which is repromoted as part of Soleil Collection. 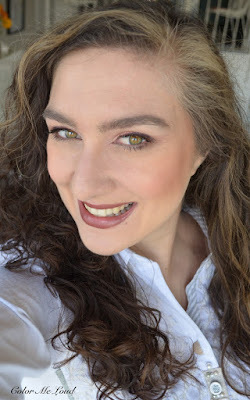 Below I am wearing Tom Ford Sphinx Cream Color over Midnight Violet (later reviewed here). This is a dup made in heaven which I am enjoying so much recently. Sphinx is the best twinkling golden shade ever as a topper over a darker base, so in love. On my cheeks I am wearing Bicoastal as highlighter and blush. On my lips I have Purple Noon, which is not a purple but I still like it. I also tried to layer this one or Aphrodite with Temptation Waits and it became such a beautiful plummy shade. 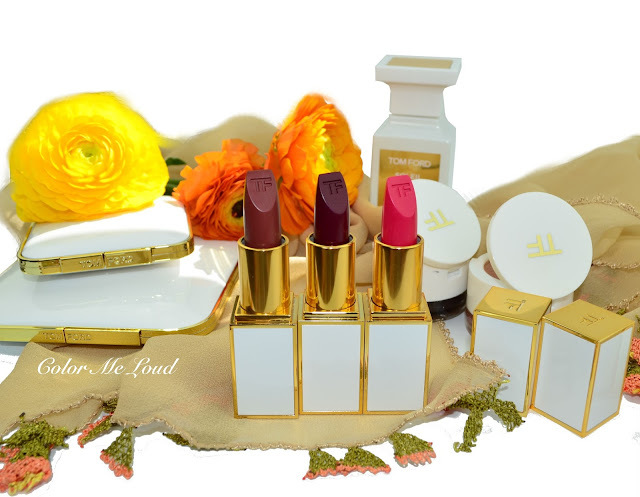 Also check out Melanie's review of the lipsticks and what Linda thinks about Soleil Blanc. Final thoughts: A beautiful collection from Tom Ford. 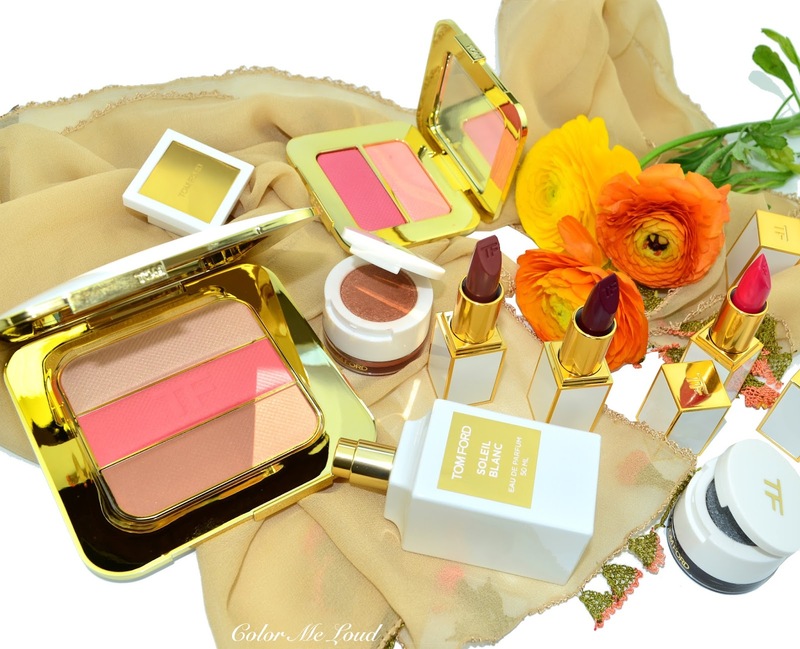 My picks are Soleil Blanc Eau de Parfum, Bicoastal Sheer Cheek Duo and Temptation Waits Ultra-Rich Lip Color. Have you picked anything from the collection or are you eyeing something? The products are now available in Germany online and in stores although the compacts are hard to get and sold out. Disclaimer: Tom Ford Ultra Rich Lipcolors in Temptation Waits and Aphrodite were provided free of charge for my consideration. Other products in this post were purchased by me. I am not paid for this review. All opinions are honest and my own. Hello Sara, it's good to hear from you. The collection looks beautiful and you look very summery. I'm going to try the perfume next time I'm in store. the Bicoastal is too pink for me. I do like your swatches of the trio but as I don't have a TF beauty counter nearby I'm going to skip, not sure if it'd work on my skin tone. Ich finde das Design der Verpackung schon alleine wunderschön. Das Tom Ford Sheer Cheek Duo in Bicoastalist ist mein Favorit . Gerade für den Sommer sind es wunderschöne Farben. Der Lippenstift Temptations Waits ist auch sehr schön und muss ich mir den unbedingt am Counter einmal ansehen. *swoon* oh all the prettiness! Hi beautiful as always Sara!! I had already purchased Bicoastal from Selfridges because I couldn't wait to get the collection here in Stockholm but yayyy yesterday was finally launched here! I got Firelust highlighter and 4 lippies : Otranto,Pipa from Moisture and Aphrodite and Purple Noon! I had the chance to try the Afternooner but for me it doesn't justify the huge price! I can't wait to purchase Soleil Blanc too! What a summery perfume indeed! I love it!